Used Alfa Romeo Brera Review - 2006-2011 | What Car? 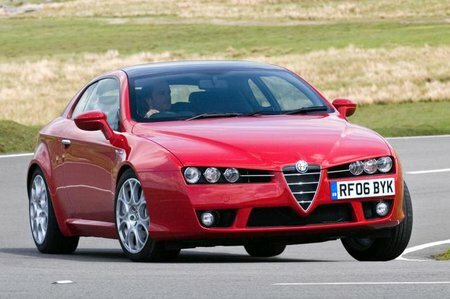 Which used Alfa Romeo Brera coupe should I buy? Two petrol engines were offered: our favourite 185bhp 2.2-litre, and a 260bhp 3.2-litre V6. A 207bhp diesel is available, too. Either petrol engine provides a great soundtrack and the performance to match. The 3.2, in particular, is muscular and swift. The 2.2 needs to be worked harder to make quick progress, but it's no slouch. Dual-zone climate control, a CD player, cruise control, remote central locking, leather upholstery and 17in alloys are a standard fit. Standard safety equipment includes stability control and seven airbags. Although the Alfa Romeo Brera was not tested, it's closely related to the 159 compact executive saloon, which was awarded a five-star safety rating from Euro NCAP.